You can order your chicken coop by calling us at 717-553-0215 and placing your order over the phone or by filling out the form below and then we will contact you directly. A third ordering option is to go to the page of the model you're interested in and click the "Choose this model" button. It will take you to a more detailed form where you can fill out all the options you want your new coop to have. However, this does not complete your order. We will call you to obtain payment and calculate the proper shipping cost. 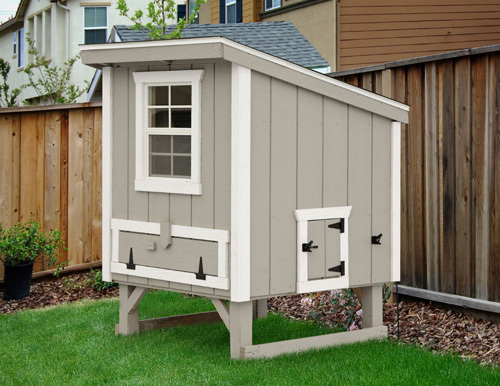 You are always welcome to pickup your chicken coop at our Lancaster County, PA location. If you'd like us to ship it directly to your home we will. Just submit your information and what you want to order, we will give you a shipping charge and if you want to have it shipped, we will get your payment information and honor your order.